If you have been a reader of my blog for a while, you may have seen my posts about wanting to renovate our bathroom. This is a project we hope to tackle within the next few years and my mind is constantly spinning with how I would like it to look! I have always loved a white bathroom, just like I love white cabinetry in a kitchen. I imagine loads of whites, grays and soft blues in this bathroom. I can just picture subway tile, chrome fixtures, glass knobs and a true spa like feel. When I was recently introduced to Decor Planet, a site that has everything you would need for a bathroom renovation, I was hooked! You can truly get luxury style at a discount with this site and if you live in the NYC area, you can pop in and see the choices for yourself in one of their showrooms. 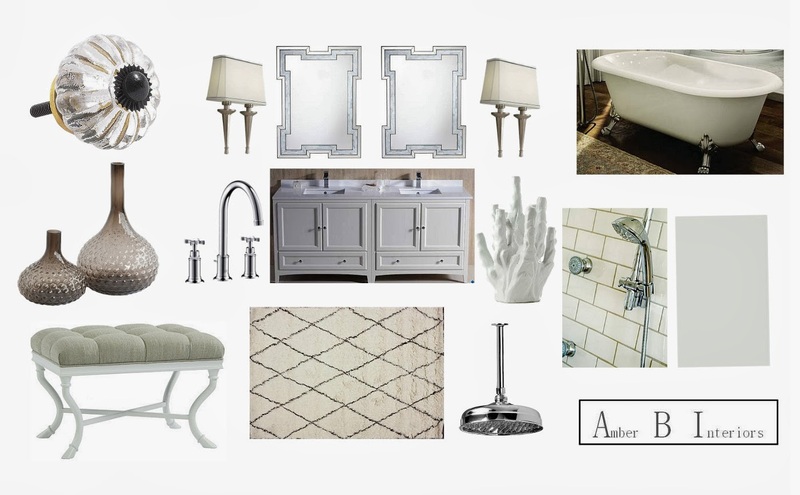 Since I am always putting together virtual design boards with e-design, I thought it would be fun to create a dream bathroom with items from Decor Planet! I could spend the day in this bathroom, if it were mine! I added a rug and some decor pieces to finish the space, but the main renovation pieces are all from Decor Planet! To view the pieces from the site that are on my board, click on the words below the design board. There are endless possibilities with this site. Not only can you find loads of accessories to choose from for your bathroom, you can also read their blog for how to’s and advice on tackling projects yourself! I am now more excited than ever to get this renovation started. Make sure to stop by Decor Planet and tell me your favorite bathroom accessory! Decor Planet sponsored this post, but all thoughts and opinions are my own. PBX and Business Phone Service offer a dependable communication solution that saves time and money. This is awesome! I’ve been trying to do some bathroom renovation brisbane, and this gave me some great insight for things to try. Thanks for sharing!